Skype Vs. Magic Jack – Saving money on your home and long distance phone service. Home » Investing & Saving Money » Skype Vs. Magic Jack – Saving money on your home and long distance phone service. I’m sure that a lot of you have a home phone and maybe two or more cell phones in your house. The question of the day is – How many phones do you need? I’d have to say that I’m a fairly frugal guy. If I get a chance to save money on services or merchandise that I need, I’m all for it. A few years ago, I switched from a Telus landline service to Vonage. For those of you who don’t know what Vonage is – it’s a VOIP (voice over internet protocol) telephone service. What this means is that the phone service uses your internet connection to make calls and then acts exactly like your regular land line. At the time the rates on Vonage for local and long distance calling were about half what I had been paying on Telus. Great! I’m saving money… So I thought. A few months ago, I started reviewing the statements for Vonage and was actually shocked at how little usage I was putting through their service. Some months there was as little as 30 minutes being used and I was paying $30 per month… OUCH!. The home phone had to go. I began looking for an alternative. My wife and I already had cell phones. Did we really need a home phone as well? It took a bit of convincing to get the DW on board but we finally hashed out a solution. Ultimately, life without a home phone hasn’t been much different and in almost every case has been better. I had done a bit of research on a few alternative services that offered long distance as well as calling out to regular landlines. The two options that stuck out were Skype and Magic jack. I ended up choosing Skype and now save around $300 a year. Skype offers features such as video calling and chat. This is something that I find extremely useful. Video chat is especially great if you have little ones and have friends and family that are long distance. The Skype to go feature is also something magic jack doesn’t offer. What this allows you to do is create local numbers for any phone number around the world so you can call locally from any phone. So essentially free long distance calling on your cell phone. 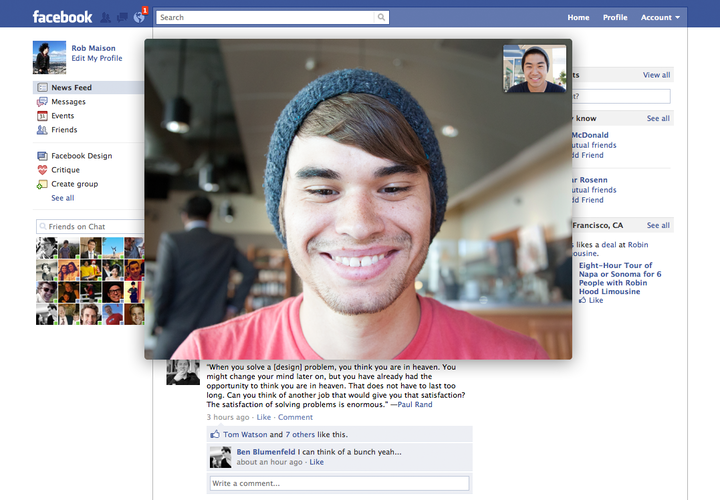 Skype has also integrated calling within Facebook. If that isn’t good enough you can also use the Skype app available for Android or you your IOS device to call out to landlines as well. I pay a whopping $2.99 per month for this service. The voice quality on Skype is fantastic and the sound is more clear than a regular phone. In defense of magic jack, it does seem like a simpler device to set up and you can use a regular handset to make calls right out of the box. They also have a new device call magic jack plus that you can set up and use without a computer. If I was setting this service up for a person that was not comfortable with computers or did not own a computer, I would strongly consider magic jack. Another thing that turned me off of magic jack, was their cheesy infomercial style of selling and their equally cheesy website…. but I guess you can look past that if they deliver their service as advertised. Also, there is some mention on the web of possible spyware and tracking software that is installed by magic jack when you first plug the device into your PC. Magic jack does have decent rates if you are calling international. With the easy set up and the ability to use a regular phone. I can definitely see why magic jack is a popular option. Overall Skype offers the best features and at a competitive price. Whether you choose Skype, magic jack or another service. One thing is certain… It’s time to dump that home phone and start saving money. Husband, father, runner, personal finance enthusiast and computer geek. Thanks for visiting. Please check out my other posts and follow me on Twitter and Facebook.